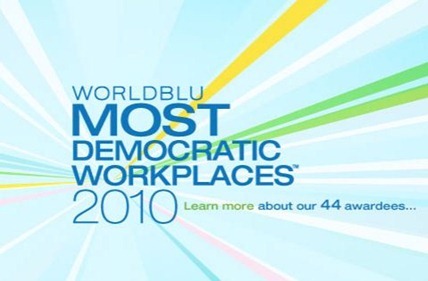 Most Democratic Workplaces in World – Are only Technology companies democratic? I think democracy in workplace is one of most important aspect in the culture of an organization – Letting employees voice their opinions freely and acting upon them shows that every employee in the workplace is important. Having said this, except may be IT sector, Indian companies are traditional in nature with decisions taken with Top down approach. Boss takes the decision all others follow it. In a democratic organization, comments, feedback and opinions are taken from Employees and arrived at a decision. If you see, more than 80% of the companies featured here are all from Information Technology / Software sector. Another interesting thing to note is – Companies from only 5 countries feature in the list – US, UK, Canada India & Malaysia, what about others? One name which I really expected in this list was of Google, not to be seen here though ! New Square shaped Mobile phone – A game changer or just another mobile handset? Democracy is not very well given to most companies of the world, but I feel that if its given it would improve employee orientation and work environment. I guess most CEOs are afraid of their employees striking against them in special occasions if such internal organizations are formed. I guess the list had to contain some top public sector Indian companies which play a lot of democracy within themselves. Well yes, even I was expecting Google on the list as I’ve heard that their developers get to work on their own projects for 10 hours every week, not a real part of what I call democracy, but still I’m sure their are many other things which gives their employees rights to raise their voice. Seriously, I am quite shocked that the methodology to calculate this ‘democracy’ has not been mentioned. I wouldn’t trust anything without a written methodology.